“Manning reminds us that over one hundred years ago, the human race risked extinction from a deadly flu the government called Aves, which crossed from birds to humans. Only a limited amount of both species survived the Collapse.” (Page 52). 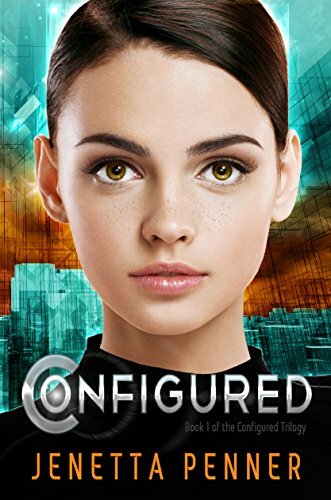 Avlyn Lark wants to live a normal life, but her emotions and her secret hacker ability won’t let her blend in or be content in her highly dystopian society. After her placement in the high level GenTech corp. she starts to notice that not everything is as it seems. If given the choice to join the rebels, will she give up a good job, steady income, and potential for a mate? Avlyn’s thought process and curiosity throughout everything that happens is the most interesting aspect of this novel. The dystopian society is very stereotypical, though Penner does a good job bringing the world to life. The plot is fairly standard for a dystopian YA, even a bit bland as we wait for the action to catch up with the main character and finally, about two thirds of the way in, it does! The action was quite exciting and I read to the end fairly quickly once I’d gotten to this part. Avlyn’s unique intelligence and ability to connect with software was very easy and simple. The lack of description and detail about hacking or coding was a bit disappointing. I didn’t quite believe that a rebellion on the scale presented in this book could exist in such a society with all that technology, especially within the society itself. There was never an explanation of how the rebels infiltrated high end buildings/offices/people or how they obtained the same tech as the Direction. Ultimately this book was easy to read, but didn’t add anything to the dystopian pile of YA and I won’t be reading onward in this series. This novel was published by Amazon Digital Services LLC on October 20th, 2016 and is available on Amazon here.